Say that five times fast. Today I’m apologetically embracing a stereotype. I’m a Southerner who loves fried food. Fried breakfast food, fried lunch food, fried dinner, and yes, especially fried snacks. Deep fried. Pan fried. I’ll even take oven fried if I’m desperate. So it’s no surprise that I can frequently be found gathering fried food recipes from around the internet. Of course we all know that loads of fried food isn’t so great for our bodies, so I do limit my fried food intake. Which is why it’s important that the fried food I take in is absolutely scrumptious. Simply put I don’t see how anyone could refuse a stash of fried food recipes in their recipe book. When it comes to the most-loved cooking method of the South, I’ll eat it all from fried chicken to fried shrimp and everything in between. But what I crave, what I absolutely adore is, you guessed it, deep fried fritters. 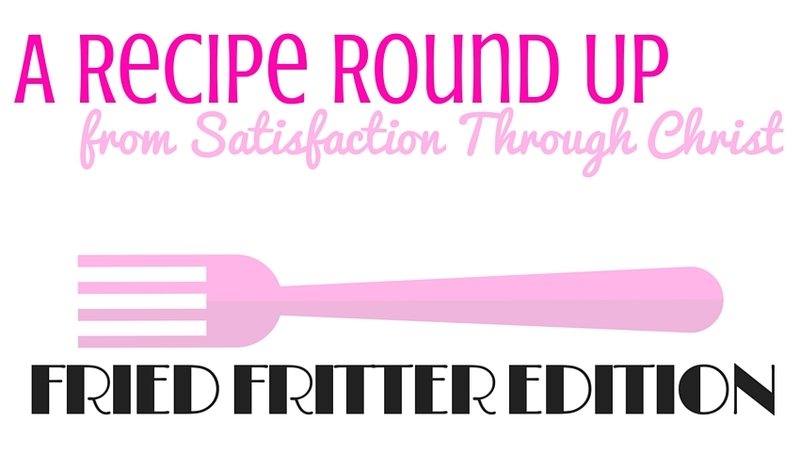 Want to know a few of my favorite fried fritter recipes? I thought you might! Here’s the current top five from bloggers who know how to dish up scrumptious eats! Let’s start with a fritter that makes fellow Georgians drool. Oh my word. If you ever need a delectable comfort food. Choose this. 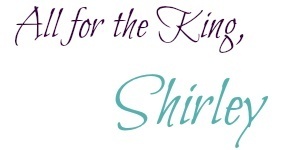 Then try about a dozen of her other recipes. This gal knows how to put good food on the table. Next up is another Southern delicacy. I love squash in just about any form so this was destined to be a crowd pleaser for me. I cannot wait to try it with squash from my own garden. It won’t be long before I try more recipes from Southern Bite. There was no way under Heaven that cauliflower fritters weren’t making this list. I adore cauliflower even though it always fails in my garden. Still store-bought will do just fine. Nearly every recipe at Sweet Bites is drool-worthy. A savory fritter for the dinner crowd. I love how Marie draws on a childhood memory to create these delicious fritters. Plus the recipe itself is easy-peasy which is a plus for this gal who is late twenties and still learning how to cook. & The first place fritter in my book! Oh friends – you have never tasted such heavenly goodness. Now The Southern Lady does her fritters a bit differently than I do mine, but it doesn’t matter, turning a pineapple into delicious fritters should have been discovered centuries ago. And to make matters even more delectable, these are amazing as a breakfast food, a snack, or as a side dish at dinner. They are especially tasty along side pork or fish. I don’t think I can go many more days without whipping up another batch of these! 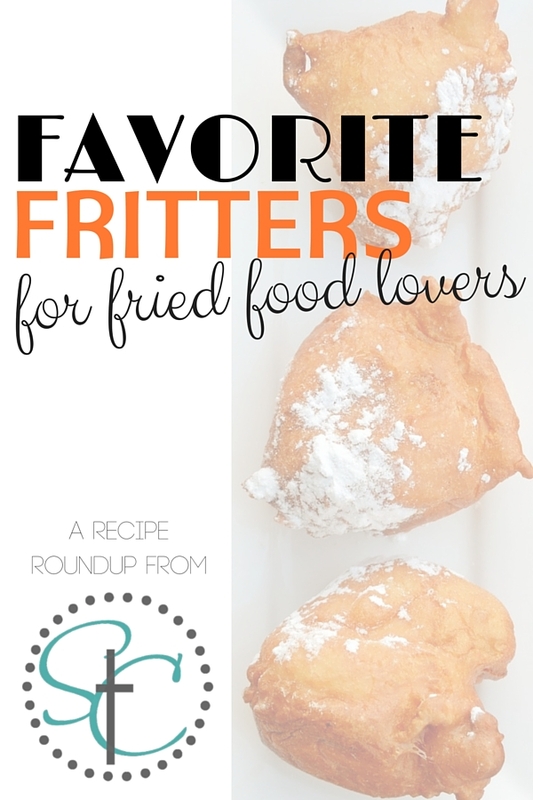 Planning to try any of these scrumptious fried fritter recipes? Let us know your favorite way to eat fritters by dropping a quick comment below!